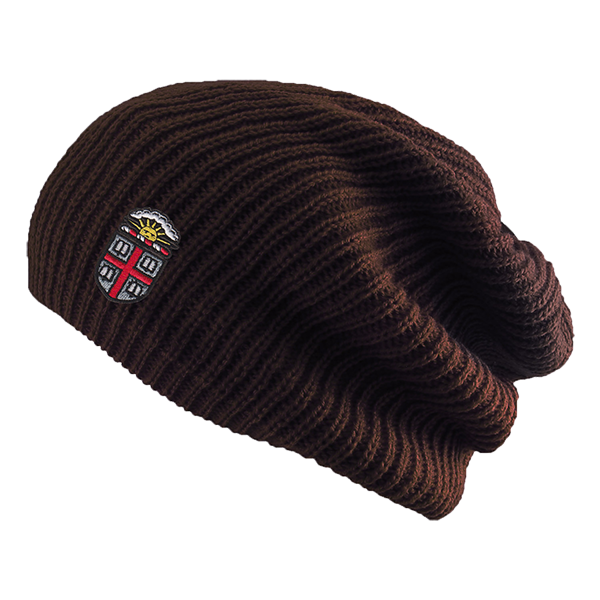 47 Brand 100% acrylic, brown knit flaphat with cardinal stripes and graphics lined with white shearing. 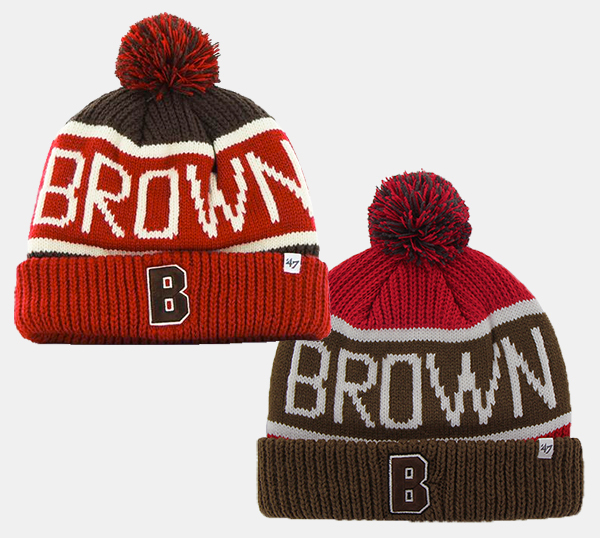 'BROWN' in white (2X) wraps around hat between cardinal stripes. 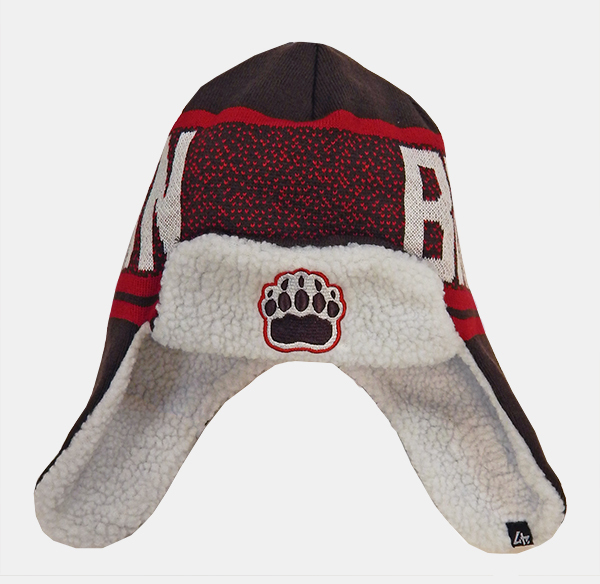 Embroidered brown paw on white patch background with cardinal embroidered outline. 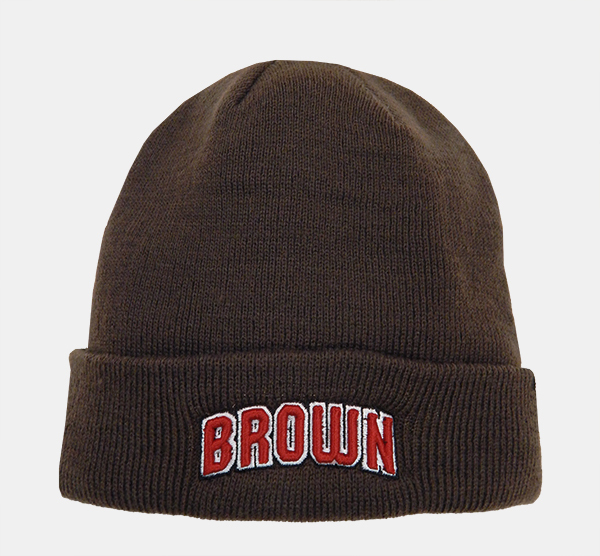 47 Brand 100% acrylic brown knit cap with cuff has 'BROWN' in raised cardinal embroidery with white and black stitched outlines. 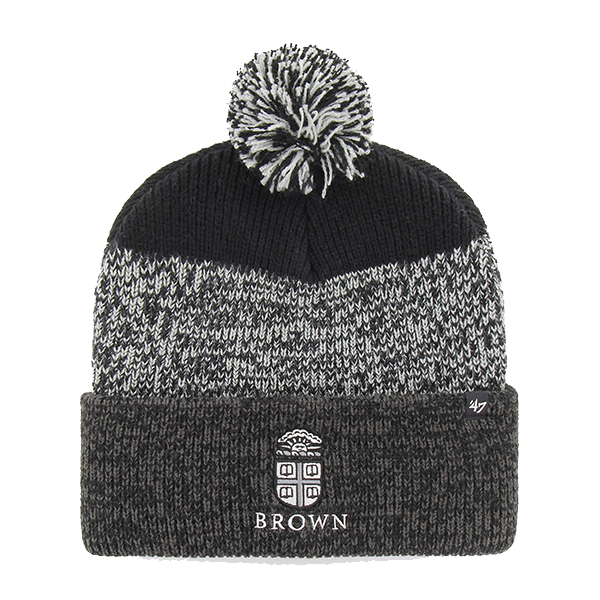 47 Brand 100% acrylic ribbed knit cuff pom hat with raised stitched brown 'B' with white embroidered outline. --Brown & Cardinal w/Brown Cuff - has 'BROWN' knit in white on back and front with white stripes. 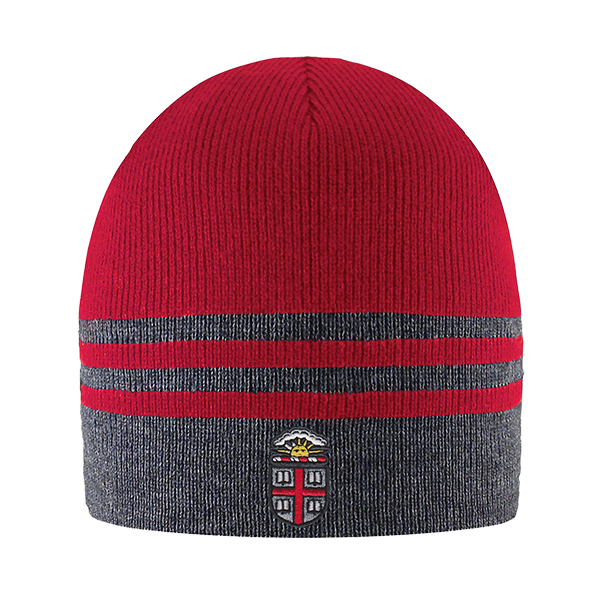 --Cardinal & Brown w/Cardinal Cuff - has 'BROWN' knit in off-white on back and front with off-white stripes. 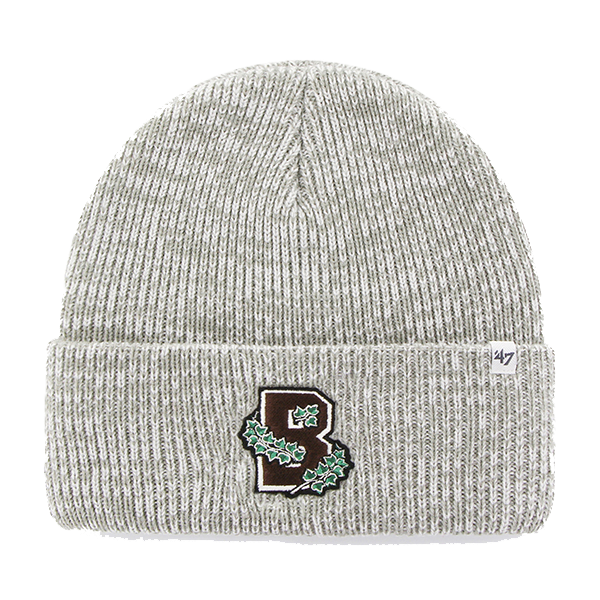 Please select option for 47 Brand Calgary Knit Cuff Pom Hat - $24.99.